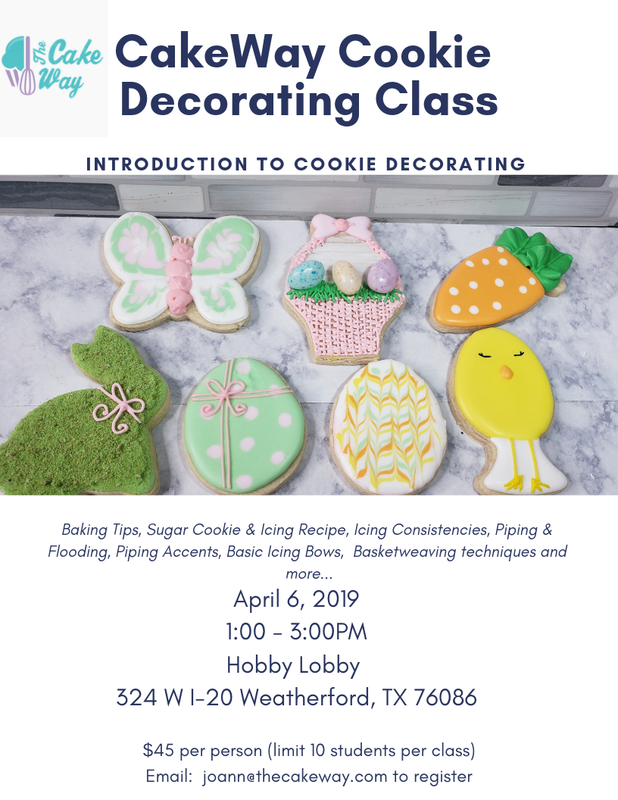 Are you looking for a way to learn cookie decorating right from your own home? Learn New Themes and Designs Every Month! 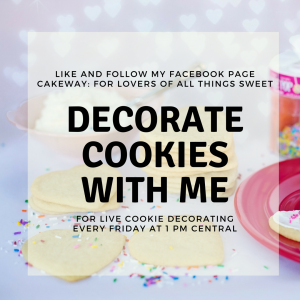 Do you want to learn how to decorate how to decorate cookies on your own time and schedule? Make and share cookies with your family and friends? 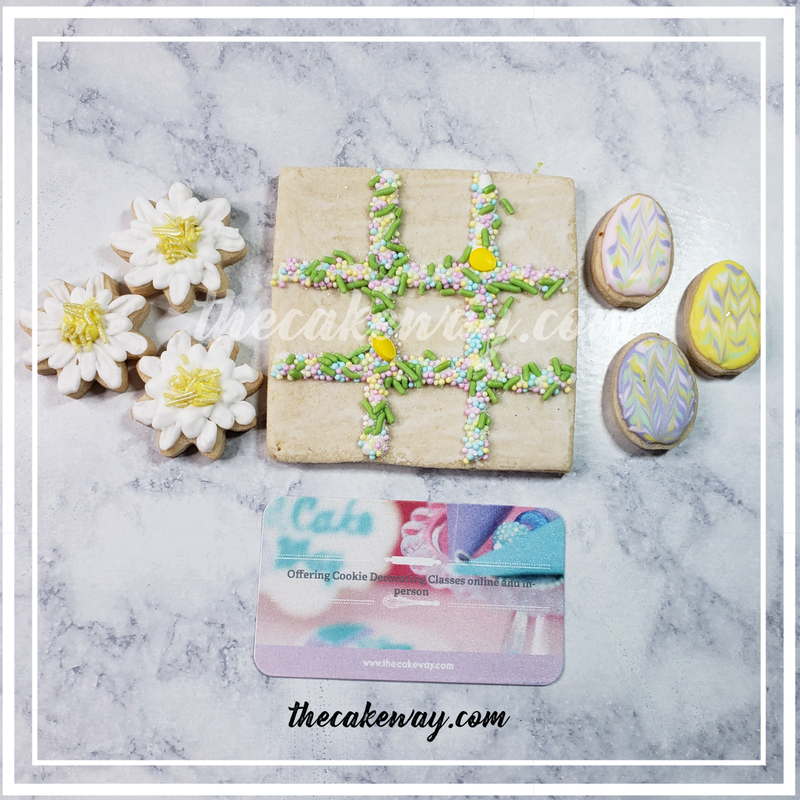 Grow your sweet business by adding decorated sugar cookies to the menu or start your own cookie business. If you identified with any of these statements, then this group is for you. A cookie recipe of the month – with a new, different, and exciting cookie recipe each month. Get a new Cookie Flavor of the Month for uniquely flavored sugar cookies. Offer specialty flavored cookies to your customers! Participation in the LIVE classes are not necessary. The video will remain active in the group for the month and then will be archived to the CCC Webpage which each member has access to. 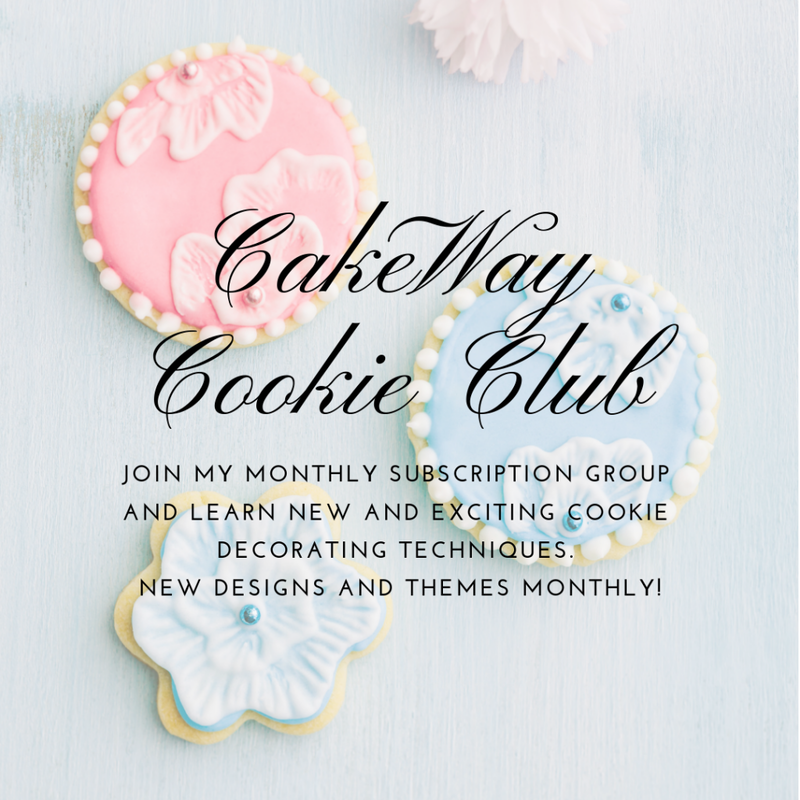 The CakeWay Cookie Club is a private cookie tutorial club of The CakeWay. Each member will receive one monthly tutorial complete with a supply list and a live monthly preparation demonstration. Plus bonus lives and videos from time to time. 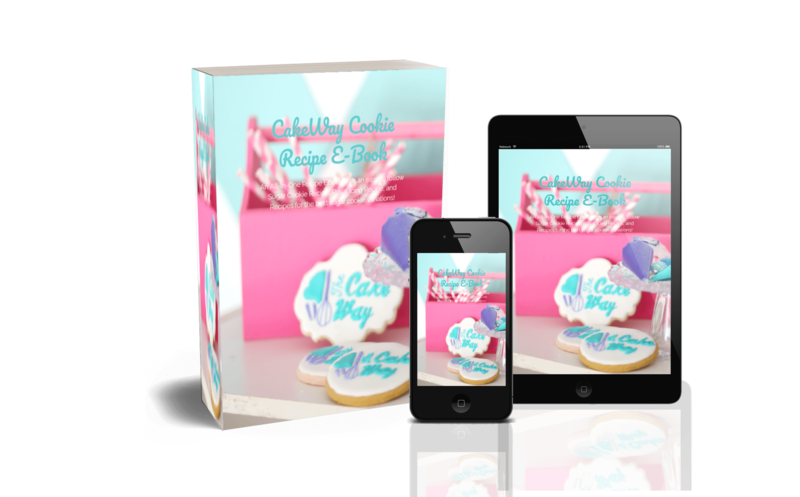 CCC members also receive a Cookie Recipe of the Month as well as access to my complete Recipe Library, which is a ($4.99/month) value. The CCC videos will take place on a Facebook Closed Group platform and will abide by the group standards set forth by FaceBook. Regular group conversations are allowed and encouraged. Questions within the group will be answered and addressed. Membership is granted to paying members only. Subscriptions can be canceled anytime by either party and no refunds will be issued for partial months. Access into the closed FaceBook group will be completed once payment is received. Because of the nature of the materials provided, subscriptions will be accepted throughout the month. Partial months will not be refunded, as materials are provided and available for the month once enrolled. Cancel at any time. Refunds will not be given for partial terms, but you will retain access until the end of your payment period. Pay yearly and get one month free!